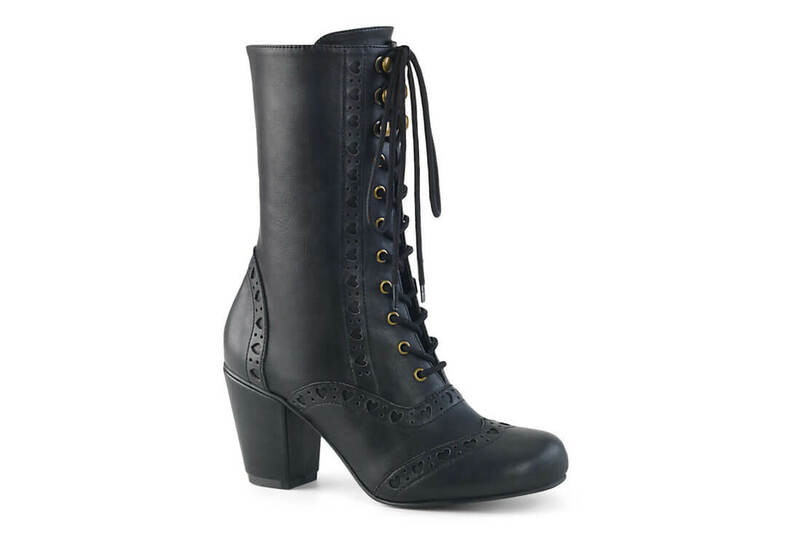 The Vivika-200 is a mid-calf boot with a 3 inch block heel. 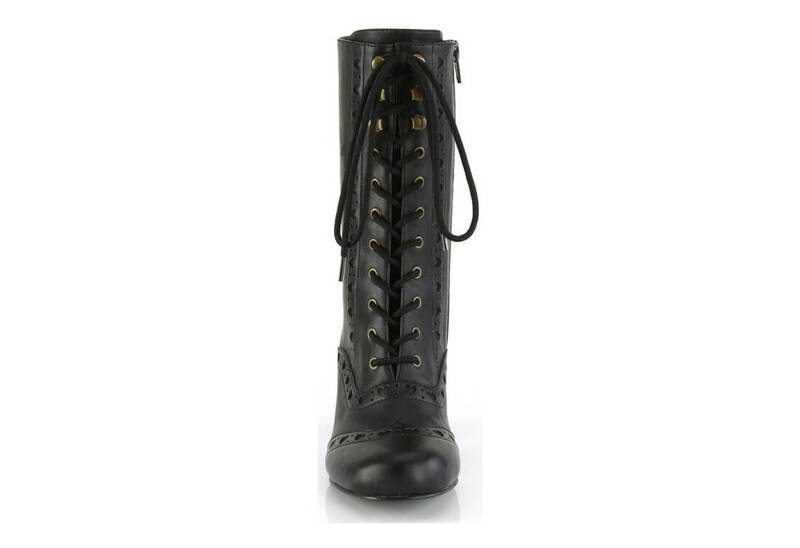 The front laces up with brass colored eyelets and three speed lace eyelets at the top. 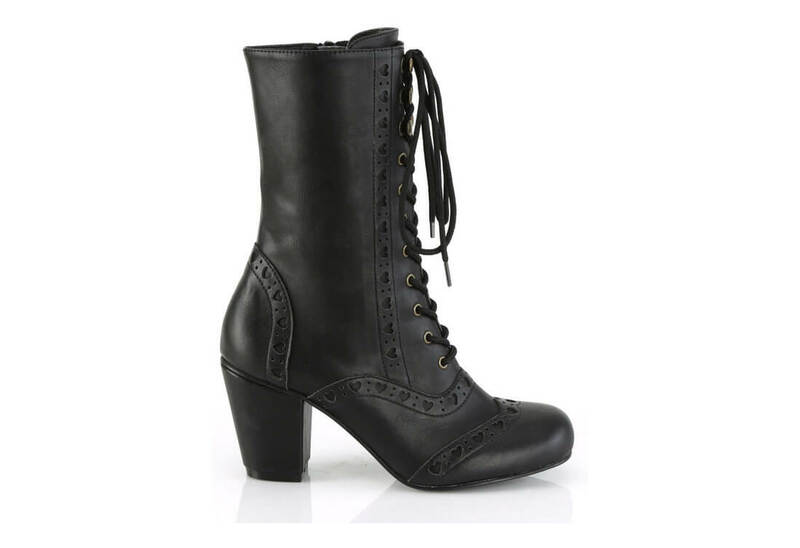 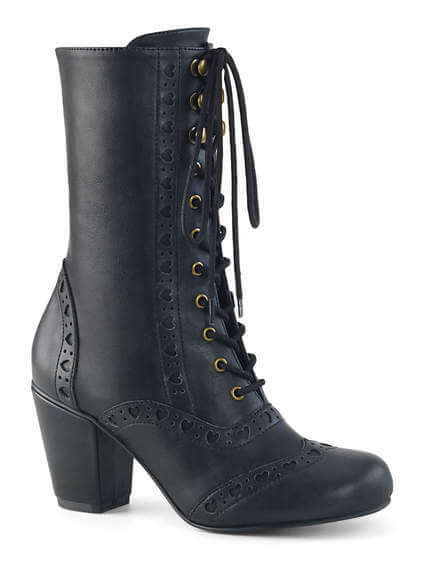 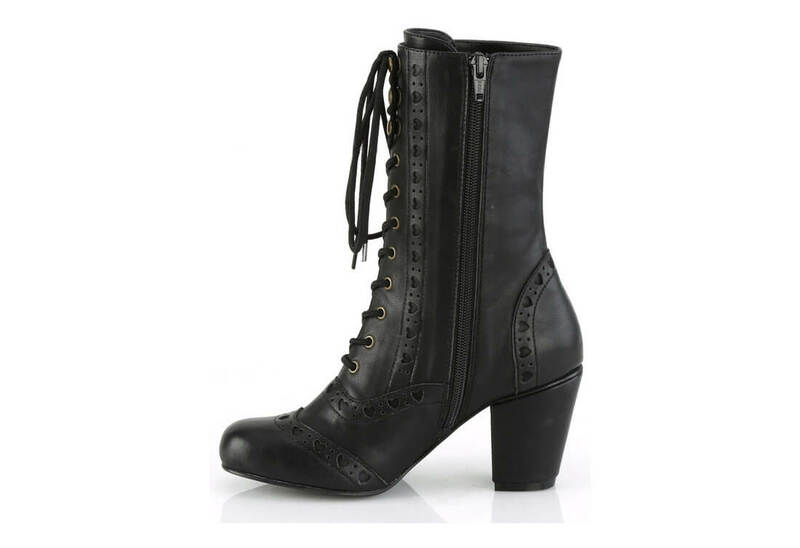 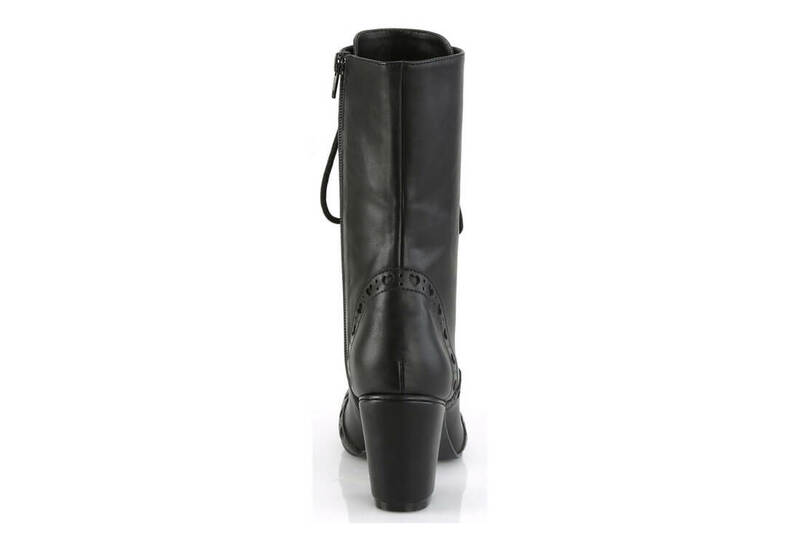 The boot is trimmed in heart cutout details and comes with a side zipper for easy on / off.